I don't know about you lot but my hair doesn't like this weather. It's either being dried out by the heating (yes, I completely gave in to the cold and put it on all the time now, don't judge me!) or being crispified by the frozen wind and rain. Therefore I'll take any help I can get to pretty this nest up into something resembling a glamorous do rather then something that makes small children cry. 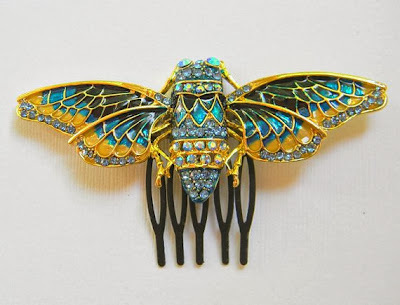 And I can't imagine anything doing the job better then this gorgeous golden cicada hair comb from Dana Castle's Etsy shop, it's like Cleopatra's magical comb of Queenly power! But at the princely sum of £30.19 (including delivery to the UK) I may have to save up a small King's ransom first (sorry can't stop myself). 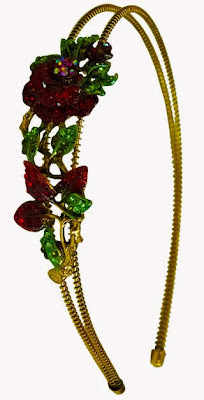 Oh my god it's an exotic bejewelled Parrot! 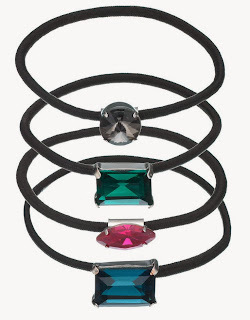 its £23.95 from Rosie Fox (delivery is free) and also doubles as a brooch! That's basically 2 for 1 right? Also from Rosie Fox for £17.95 is this luscious antique gold hair band, loving the colours on this to the point I would probably sleep in it, hair band headache be damned! Even I know there's a place and time for glittery locusts, glitzy parrots and gem roses (that would be lunch, dinner, holiday, shopping, cocktail and dancing time) so for all those other boring times I can add a little subtle spark with these jewelled hair bands from Accessorize for £8. There's something a little classy about this gemstone hair clip from ASOS, even though it is BRIGHT NEON YELLOW. Not a colour I ever thought I could pull off but for a reasonable £8 I'm willing to try godsdammit! Ok sensible section over now back to the sublimely ridiculous! 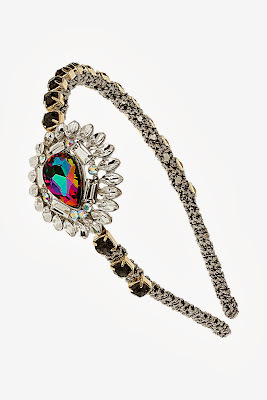 Like this rather ostentatious bejewelled headband from Topshop, I'm usually not a fan of lots of clear or white gems (too weddingy) but that lovely big ole petrol coloured rock saves it from veering into matrimonial territory. It's also a whopping bargain being only £10 down from £40! 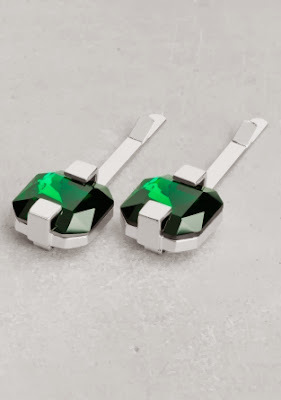 I like to think these emerald hair slides were at the centre of some famously historic jewel heist, alas they are only worth a mere £10 from the sublime & Other Stories, also available in sliver. Quick! Where are my silk pyjamas? 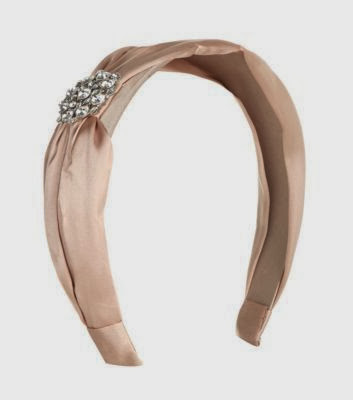 I must have them if I'm to perfect my Katherine Hepburn as bored heiress look in this glittery awesome satin hair band which is shockingly cheap at £4.99 from New Look. Now I just need to perfect the art of smoking sexily and holding my morning cocktails with grace.